The May two-four. The first official long weekend of summer. Since our family rarely goes away in the winter months, I find the Victoria Day weekend a lifesaver. It’s the first real chance after a long winter with no vacation to recharge our batteries. And I don’t know about you, but my batteries were running dangerously low before this weekend. Whether you’re camping, cottaging or just enjoying time at home, my happy act this weekend is for you to enjoy the weekend to the fullest. Sleep in every day. Don’t make any plans before 10 a.m. The best part about long weekends is they give you a bonus day. Use it to the fullest by planning a special outing. 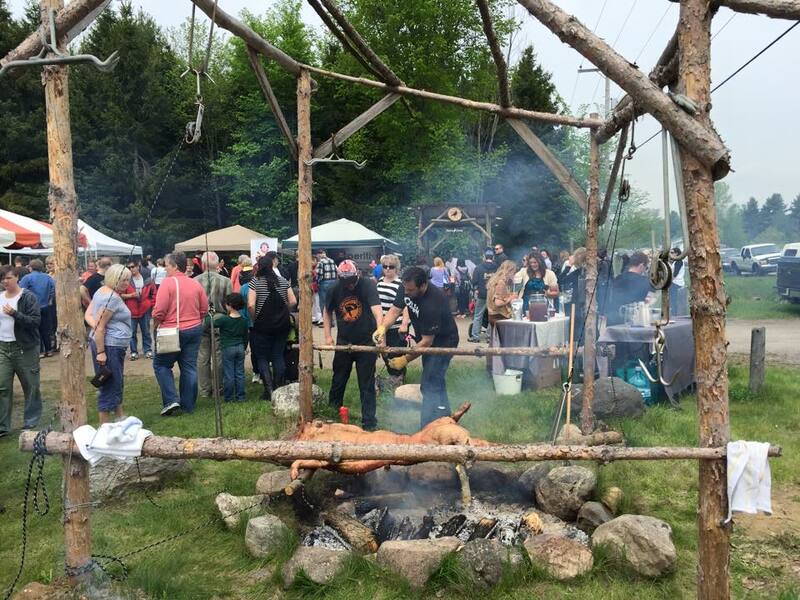 If you’re in the Kingston area, why not head up to Seed to Sausage and The Day of the Pig in Central Frontenac today—an old fashioned pig roast with live music and artisanal cheese and beer makers from across Eastern Ontario to tantalize your taste buds. Do nothing at all. Sit. Relax. Watch the world go by. Just enjoy being. This week’s #HappyAct is to enjoy this first glorious long weekend of the summer to the fullest. Have a great long weekend everyone.